Global Aerospace Logistics Signs Strategic Services MOU with AAR to enhance support for the UAE Armed Forces. 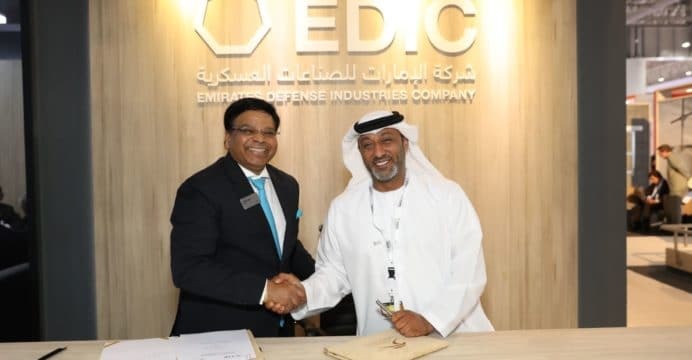 Global Aerospace Logistics, LLC (GAL), a subsidiary of Emirates Defense Industries Company (EDIC) and AAR Corp (AAR), an international aviation aftermarket service provider, have signed a Memorandum of Understanding to develop enhanced support services for the UAE Armed Forces. Since GAL is expanding its role with the Joint Aviation Command to include Performance Based Logistics (PBL), agreements with companies like AAR provide unique and relevant past performance and proven processes that can be transferred to GAL and the UAE. This has enabled AAR to be a global leader in PBL support. Under this agreement, AAR will provide working knowledge of PBL programs to reduce overall risk and to greatly enhancing the ability to increase operations tempo with fully mission capable aircraft at an overall cost savings enhancing both companies’ ability to support the UAE Armed Forces. GAL is a key supplier of professional aerospace and defense maintenance services and support for the UAE, and the execution of this agreement further enhances its role as a provider of routine and urgent customer support services for the UAE Joint Aviation Command – including new spare parts, repairs, training and technical publications. Al Ozaibi added that the extended relationship ensures GAL and AAR will meet and exceed operational needs of the UAE Joint Aviation Command, ensuring efficient and effective fleet maintenance of the entire fleet of helicopters and fixed wing aircraft operated in the United Arab Emirates. Global Aerospace Logistics LLC (GAL) is an Abu Dhabi based Emirati owned company providing professional aerospace services. 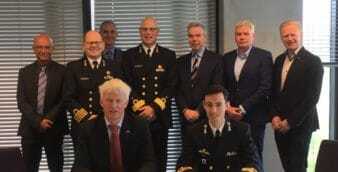 The Company is a subsidiary of Emirates Defense Industries Company (EDIC). For more information about GAL and its activities, visit the company’s website: http://www.gal.ae.